The ultimate trip for mountain enthusiasts! 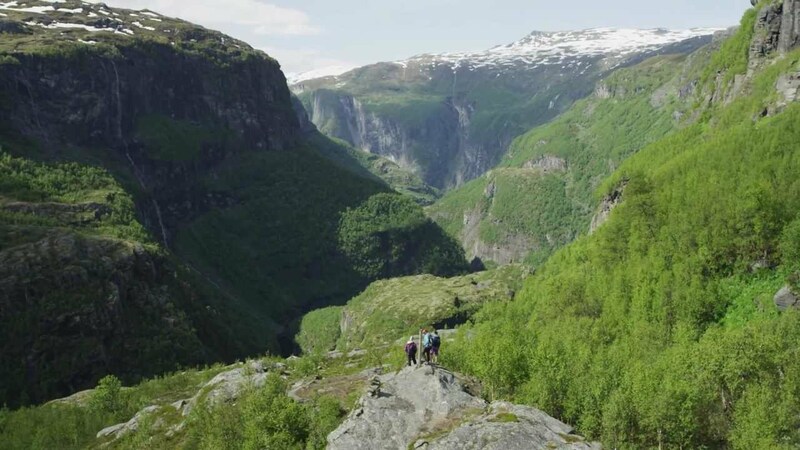 Experience the top five hikes in Fjord Norway – and other highlights such as Stavanger, Bergen, the Flåm Railway, the Nærøyfjord, Geiranger and Trollstigen along the way. This is the ultimate trip for experienced hikers who want to get the most out of their holiday. The first hike is to the Pulpit Rock (Preikestolen). This is one of Norway’s biggest tourist attractions, but by no means overrated. We start the journey in Stavanger, however, where you can charge your batteries for the trip ahead. The city is known for its many good restaurants, the Gladmat food festival and the NuArt street art festival. The hike to the Pulpit Rock starts at the car park by Preikestolen Mountain Lodge. It takes approximately 4 hours there and back. The plateau offers fantastic views of the Lysefjord. You also have the option of taking a guided sunrise hike. Read more about the hike to the Pulpit Rock here. The Trolltunga rock – another icon of Western Norway, is next up. It’s a challenging hike, so make sure you are well rested, and not least, that you start early in the morning. Suitable equipment is also important. Don’t do the hike in poor weather. You can stay overnight in Odda, but there are many other good accommodation options in the area, for example Hotel Ullensvang in Lofthus. 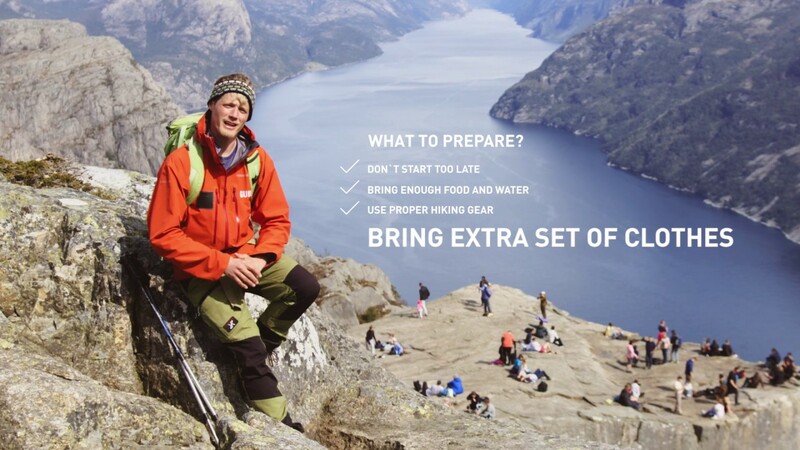 The hike from Skjeggedal to Trolltunga is about 20 km there and back, and takes 10–12 hours in total. A new 4 km-road through Skjeggedal has now been constructed that makes the walk a bit shorter. The car park at the end has limited capacity, so get there early. Read more about the hike to Trolltunga here. After the Pulpit Rock and Trolltunga, take a well-deserved day or two off in Bergen. Bergen is one of few cities in the world to have been awarded UNESCO City of Gastronomy status, and there are many good restaurants to choose from. Also make sure you catch the Fløibanen funicular and Ulriksbanen cable car, Bryggen (UNESCO World Heritage List) and the Fish Market. The KODE art museums have many interesting temporary and permanent exhibitions. The next trip on the programme is the Aurlandsdalen valley, with its wild and beautiful scenery. Aurlandsdalen is a hike done in several stages between Finse and Vassbygdi, but you can decide whether to hike through the whole or only parts of the valley. If you want to hike from Finse, park your car in Flåm and continue on the famous Flåm Railway to Myrdal and change trains to continue to Finse. From Vassbygdi, there is a bus service back to Flåm a couple of times a day (check the timetable here). If you want to hike the last leg only, park in Vassbygdi or Flåm, and take the bus to Østerbø. Read more about the Aurlandsdalen valley here. While you’re in Flåm, why not take a fjord cruise on the Nærøyfjord, as a reward for having completed the trip? 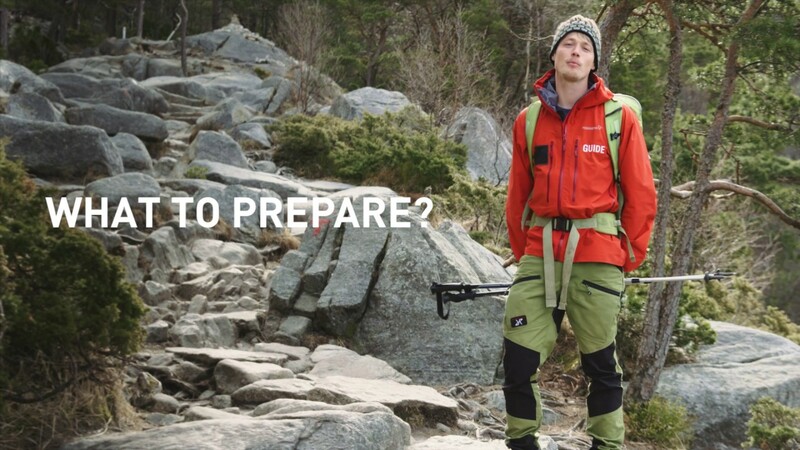 Skåla – the highest mountain with its foot in the fjord – is next up. While you’re in the area, make sure to catch the spectacular Loen Skylift – a lofty experience that offers fantastic views. Have your lunch or dinner at the restaurant at the top of the mountain. The trip to Skåla and back takes approx. 8 hours, so set aside the whole day and start early. On top of the mountain you’ll find the characteristic Skålatårnet tower dating from 1891, but also a modern tourist cabin that opened in 2016. Read more about the hike to Skåla here. There are several places to stay overnight in the area, including Hotel Alexandra in Loen, 5 minutes from where the hike starts. The last leg of the trip is a spectacular hike. Stop at Geiranger – where you can stay the night before driving onwards. The Dalsnibba and Flydalsjuvet viewpoints, high above the fjord, are a must. Take a fjord cruise or hire a kayak if you have the time, and see the Geirangerfjord and the famous Seven Sisters waterfalls. Continue via the Trollstigen road, which has been a popular tourist attraction since it opened in 1936. Stop at the top and enjoy the view from the different viewpoint platforms, before you continue via the hairpin bends to Åndalsnes. Note: Google Maps (link below the map) sets the route from Geiranger to Trollstigen via Åndalsnes, and not via Valldal. However, during the summer months, Route 63/Trollstigen is open, so it is possible to drive from Geiranger via Valldal to Trollstigen and so on down to Åndalsnes. 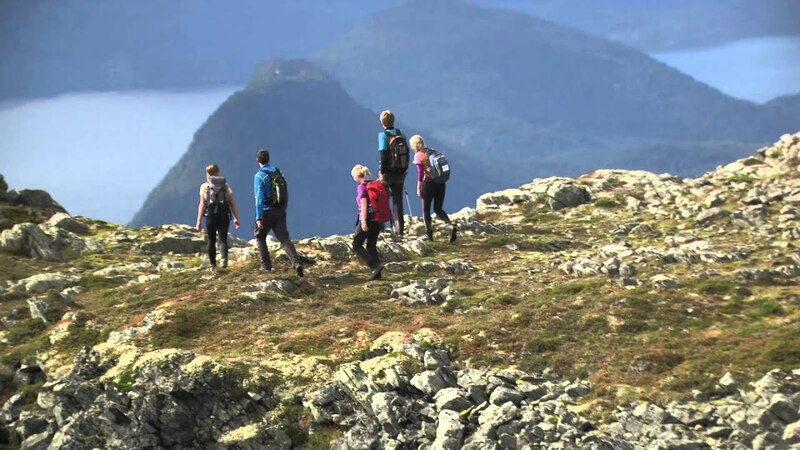 The last hike to Romsdalseggen ridge is said to be Norway’s most beautiful and most easily accessible summit hike. It’s also a challenging hike, so make sure you are well rested and start out early. There is a bus from Åndalsnes to Vengedalen, and the hike starts there and ends in Åndalsnes. If you are weary after all the other hikes, a great alternative is to walk from Åndalsnes up the Romsdalstrappa steps to the Rampestreken viewpoint. This will give you spectacular views of the region. Read more about the hike across Romsdalseggen here. From Åndalsnes, you can take the quickest route home, or drive onwards and perhaps see Kristiansund and Molde, the Atlantic Road and possibly the Art Nouveau town of Ålesund?